The PCC130 and the PCC130 SW are cardioid boundary layer microphones of professional quality that, due to their small size, fit perfectly on small tables. 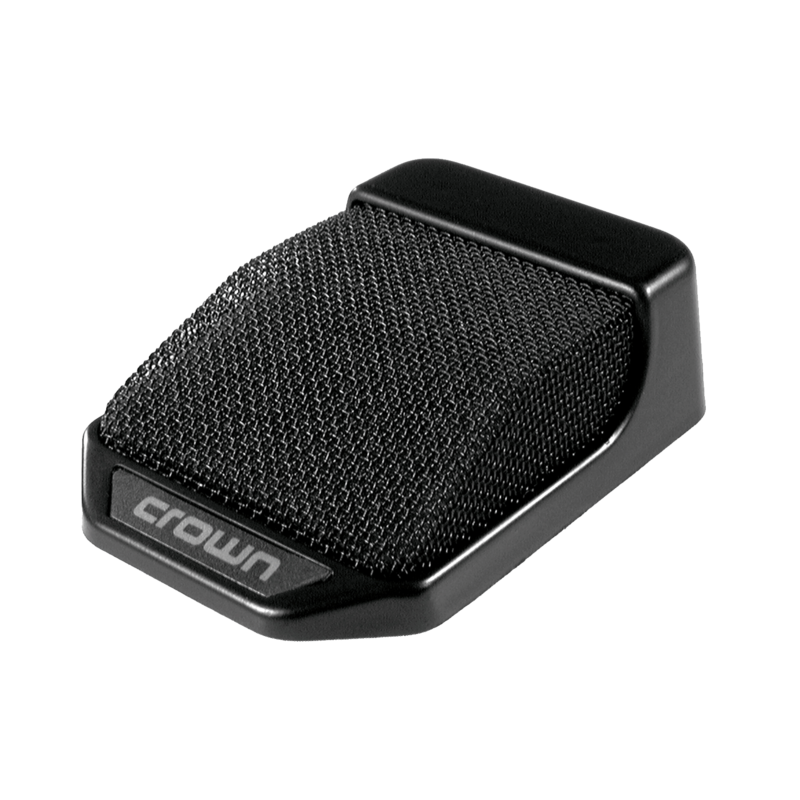 Thanks to low self-noise and very high sensitivity, the microphone picks up even distant voices clearly and naturally. A bass-tilt switch allows the user to tailor the low-end response and reduce subsonic noise. The PCC130 SW has a silent-operating programmable membrane switch that can be configured for touch on/off, momentary on or momentary off. A high-intensity LED lights when the unit is on. For easy installation, both microphones offer an XLR connector and a detachable cable.